Every once in a while it's time to feature something other than a card and this week at 613 Avenue Create we want to share our tags, boxes or gift bag ideas. 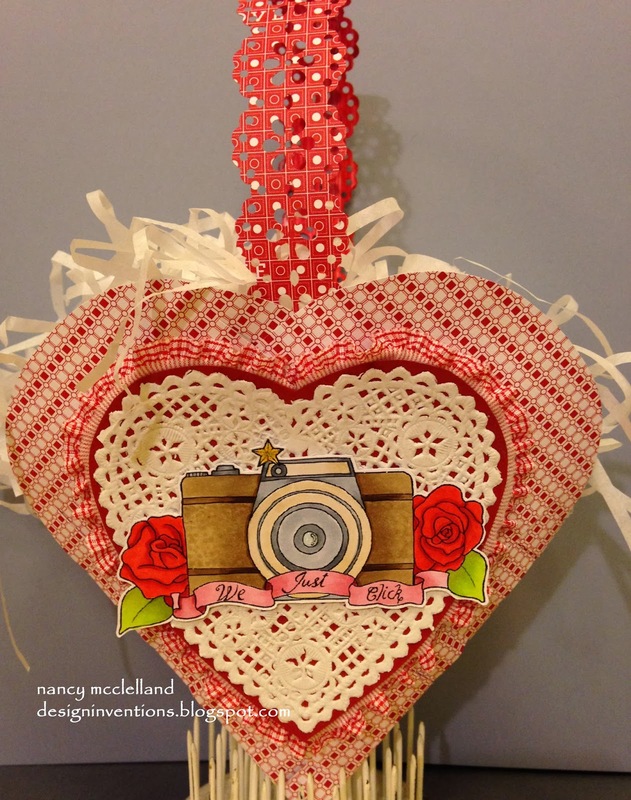 This is a heart bag that I have made many times. It is made from woven designer paper and then I punched a decorative paper handle. This is great for Valentines day treats. 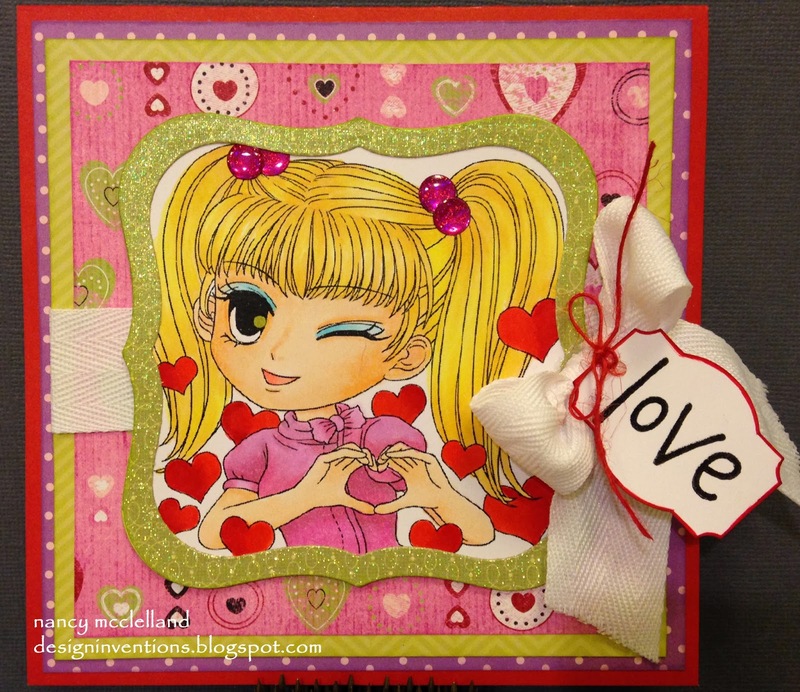 I finally pulled out a few of my Valentine paper scraps to put this card together. Very simple layering, a ribbon and bow. Thanks for stopping by and check back later for a bonus post. It's Saturday and time for another challenge from Hiding In My Craft Room. I've been a little busy today preparing for 10 dinner guest and some overnight house guest. Bill and I are blessed to attend a fantastic church and every so often we have the opportunity to house some of the visiting worship teams. So this is our weekend and now that I have dinner finished, all the table linens washed and put away, the dishes unloaded from the dishwasher and a good start on breakfast fixins' for the morning........I am finally here. We are using Template Dreams digital packs which is our sponsor. 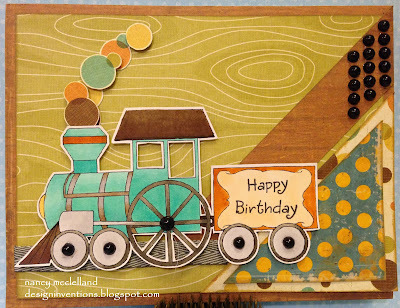 So many fun papers and embellishments. The card is totally digital except the pearl accents. I cut the arrow out and used pop dots for dimension. The paper tag was printed and then added on top. 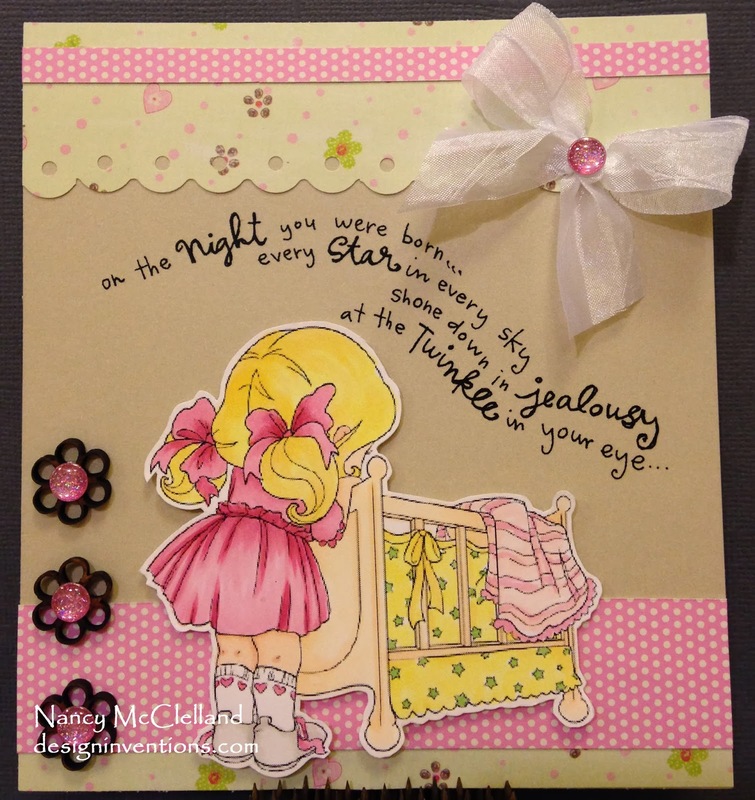 I hope you like this weeks inspiration and don't forget to hop over and play along. Ok, so I don't post non-craft related pictures very often, but since today is my Grandma day, I thought I would share. I had an extra day this week with the little guy and as you can see he is now crawling. He's 8 months old and growing so fast. 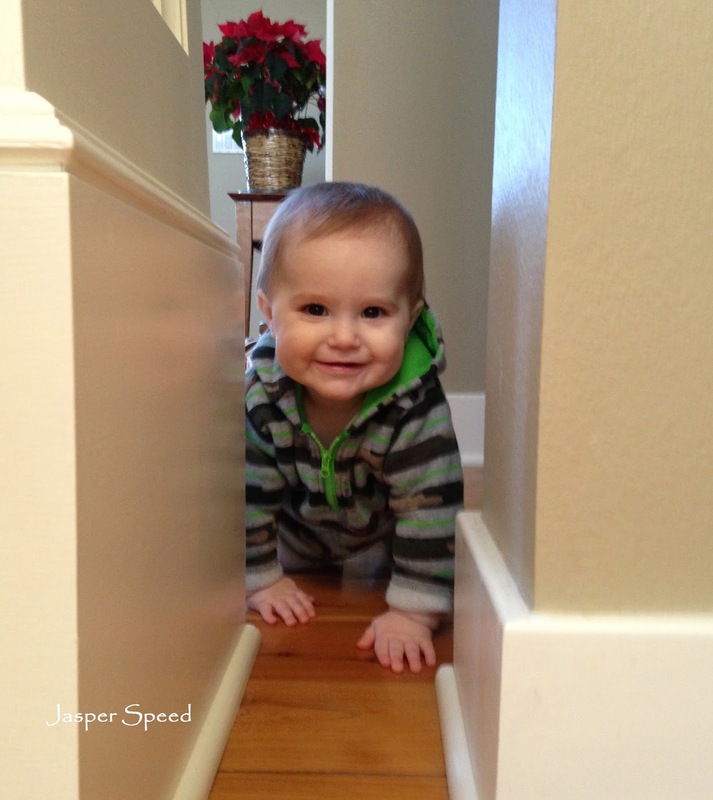 We have two pillars in our house and I caught him trying to crawl though the space. couldn't resist the picture. Thanks for stopping by today. I'm stocking up on snuggle time! I started pulling out some of my Valentine goodies and decided to color this easy valentine image. 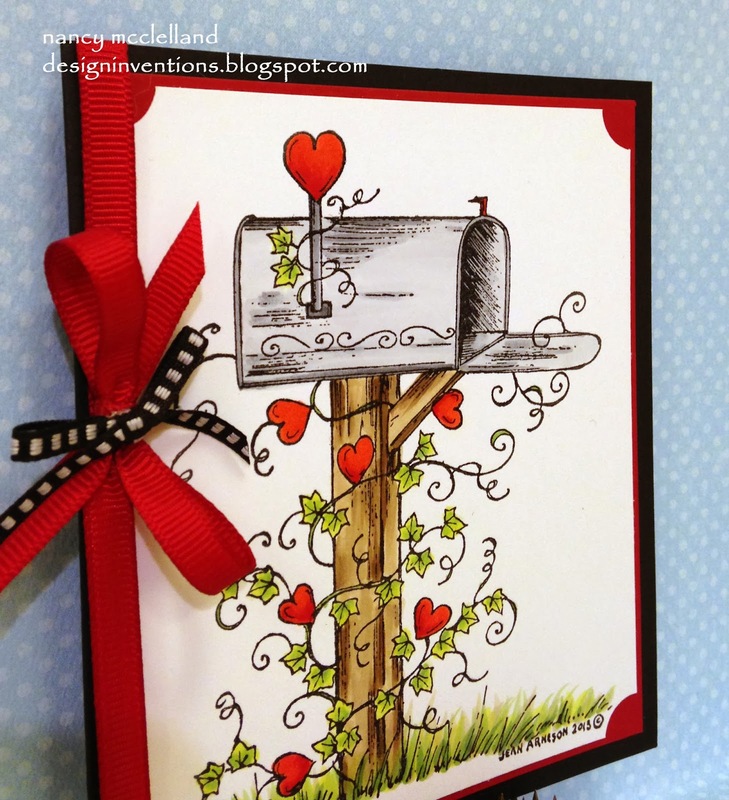 I love Northwoods stamps and they always looks great when finished. I must admit that I really like to emboss the image when I stamp it because it just adds so much detail. Northwoods only produces excellent quality, red rubber, wood mounted stamps and a plus is that they are made in the USA. 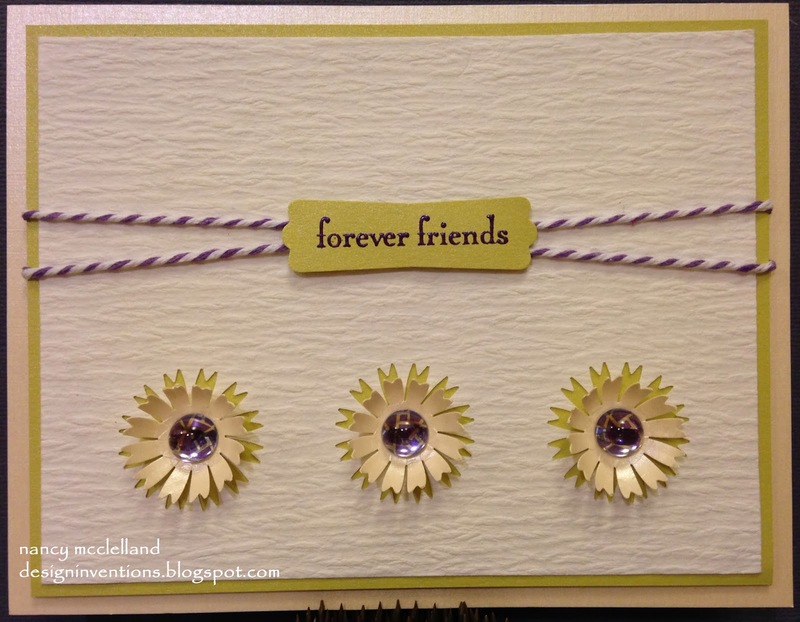 This is a simple card with a fun ribbon bow on the side. It's the beginning of the week and another edition of the Greeting Team inspirations. Since today is Martin Luther King day our theme is Celebration or something for a New Arrival. This was a fun image to work with and I just thought she should have a funky hair color. Don't you just love her boots??? 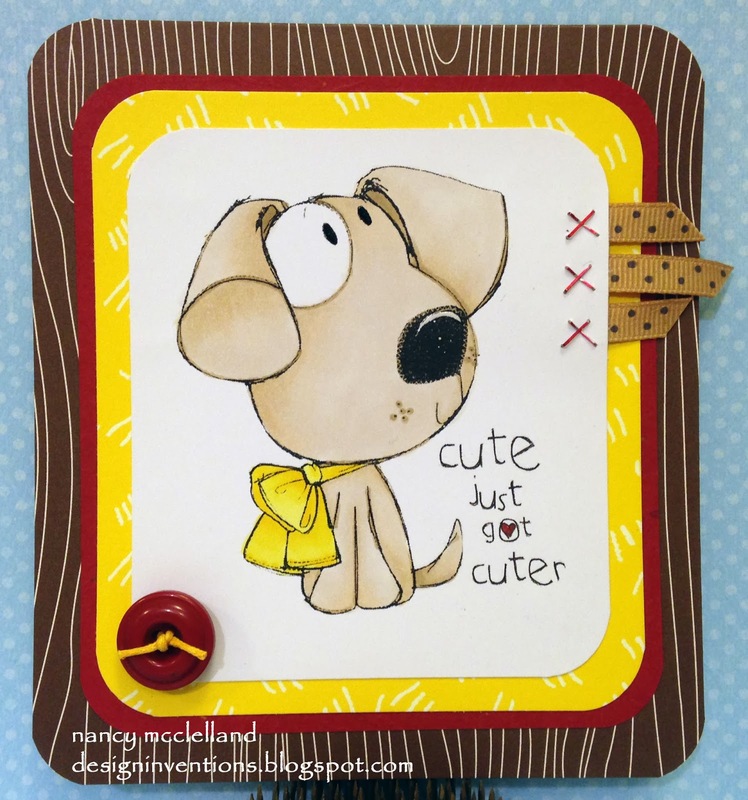 I decided to do two cards this week since I had both images and this dog is so stinkin' cute. Thanks for stopping by today and don't forget to stop over at The Outlawz this week. As many of you know I've mentioned that my husband Hot Air Balloons and I needed to make a card for our pilot. She's been a little under the weather and when I was my cleaning today I decided that this stamp was perfect. 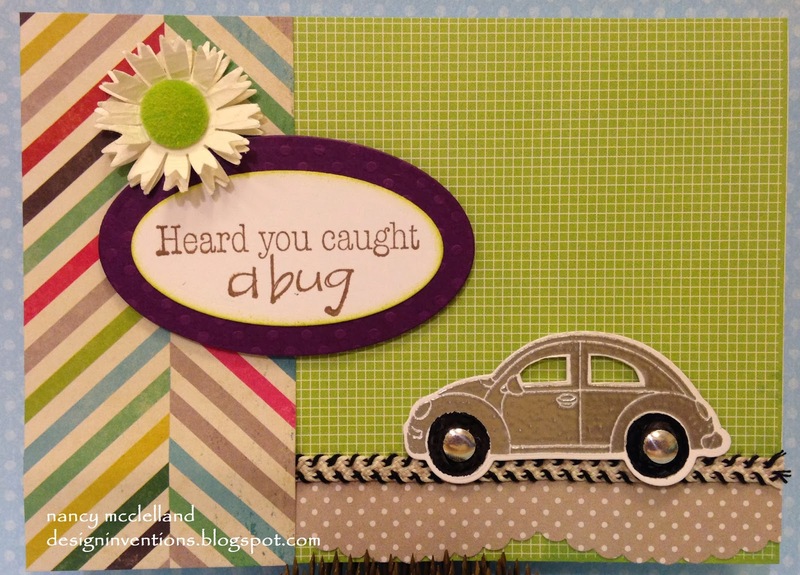 I stamped the bug and embossed with silver (she has a silver bug) and then used the great little die to cut out the image. Coloring the tires black and adding metal stud for the hubcaps. I used all scraps of my desk for the rest of the papers and embellies. I'm sure you're thinking I must have a messy desk and you're correct. I usually clean Sunday or Monday after a big blog week, so looks like I'm a day ahead. It's SATURDAY, and that means?????? Well, for me that means cleaning up a little from taking care of my little guy yesterday. I don't get much done except feeding, rocking, playing with toys, rocking, feeding, oh and did I mention rocking. He loves to snuggle and this Grandma doesn't mind. Hiding In My Craft Room. We have a great Clean and Simple challenge this week and we have a Fabulous sponsor to go along with it. They have gorgeous papers, great prices and selection. My card has a basic cream background with a layer of green paper on that,(these both have a nice lustre to them). Then the top layer has a matte finish with this great texture. I punched the three flowers out of the top layer so you could see the green paper peaking out behind the accent flowers that I placed over the die cut holes. Adding the simple sentiment, twine and bling, there you go. Sorry for my absence lately but it just seems like it's been super hard to get going on 2014. We've had ice, fog and snow here in Iowa, so this week seems like the real beginning of the New Year. With all the weather changes my sinus's are on overdrive, the past couple of days have been rough but better now. 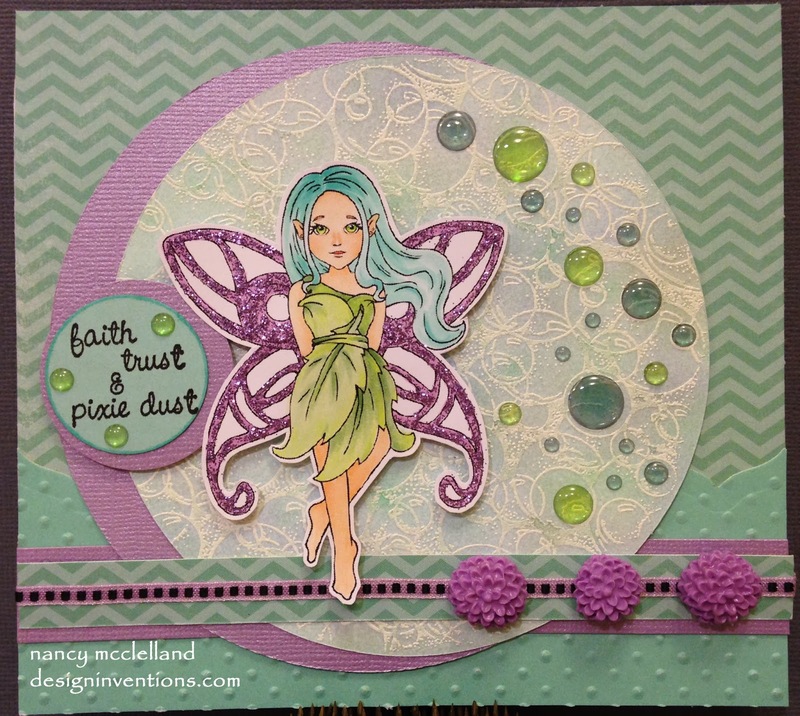 My card for this weeks challenge features a great stamp from Stampin 'Up, a few Spellbinder Dies, Ribbon and Pearls. This is a simple challenge so I hope you can find to join us. 613 Avenue Create Challenge week. I had a hard time picking my image for this challenge because there were so many choices. 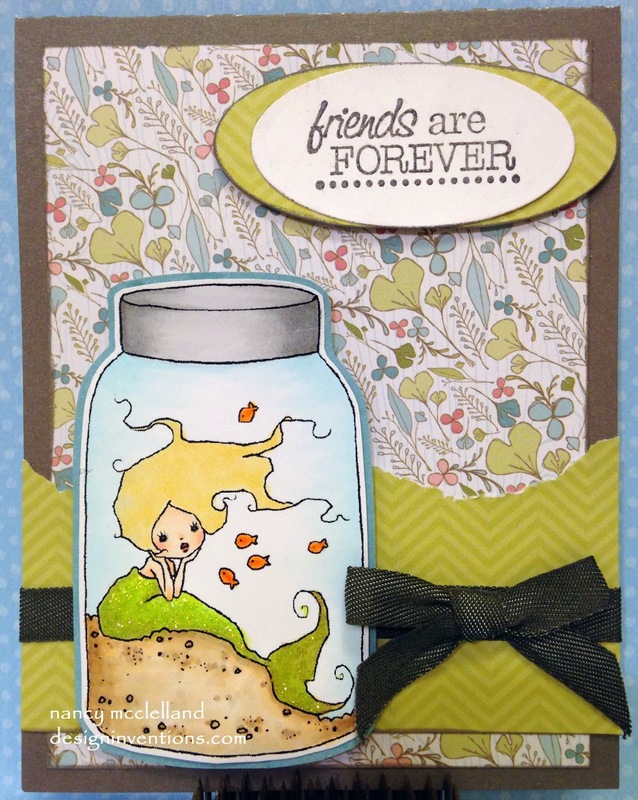 I finally decided on this oh so cute 'Mermaid In A Jar'. Very simple coloring and then some added Stickles for bling. I picked the background paper because it gave me the feel of the ocean and plants underwater. 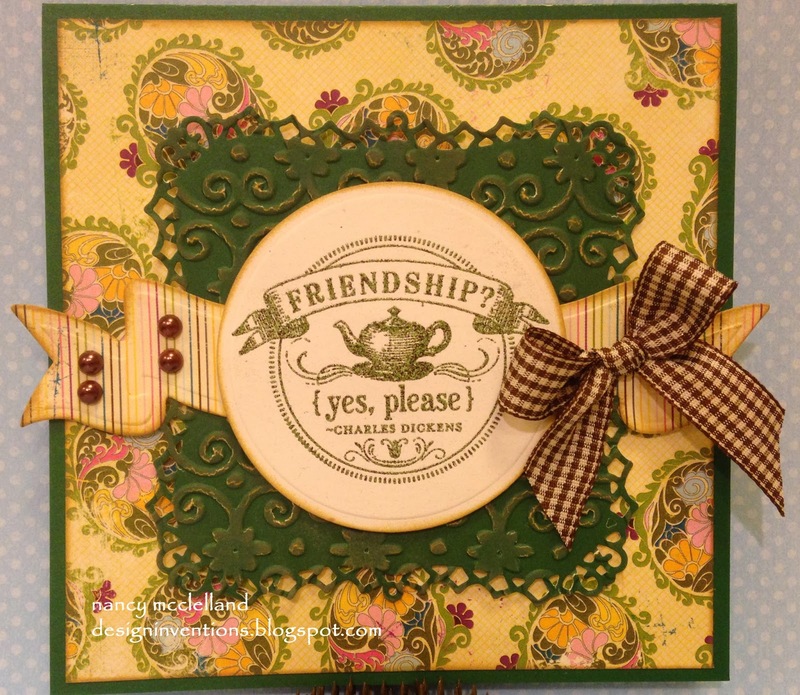 Picking a basic friends sentiment and I have a great card for multiple occasions. Thanks for stopping by again today and please go to 613 Avenue Create for the DT inspiration. 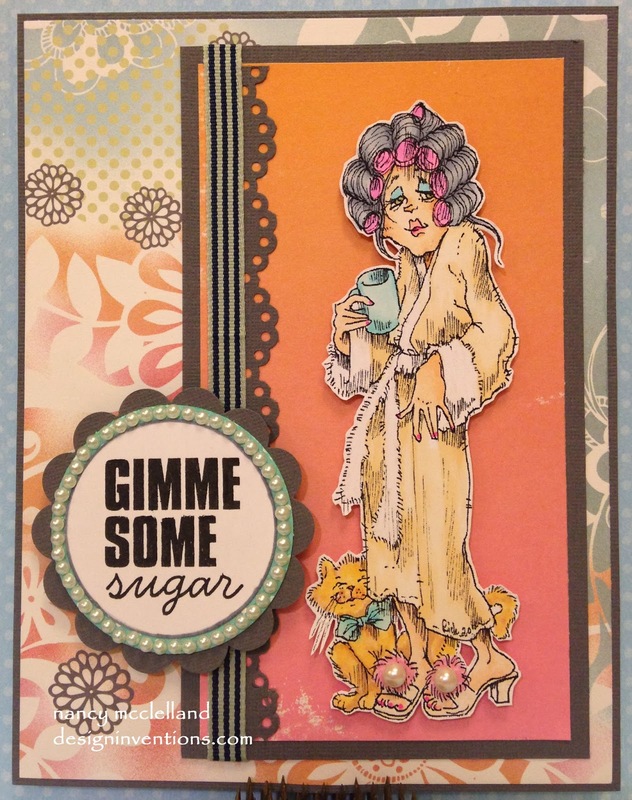 It's time for another challenge at Hiding In My Craft Room and its my favorite Super Scraps Saturday!!!. 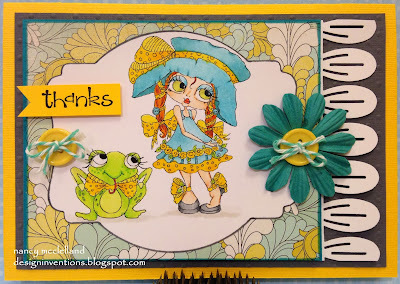 My image is from Little Miss Muffet and I used this gorgeous Fairy. When I saw this image I knew that she was going to have some glitter some place and for me the wings just came to life with the purple Stickles. When looking through my scrap papers I found the background bubble paper that I made some time ago. I have a round stamp with bubbles that I stamped and embossed with white. 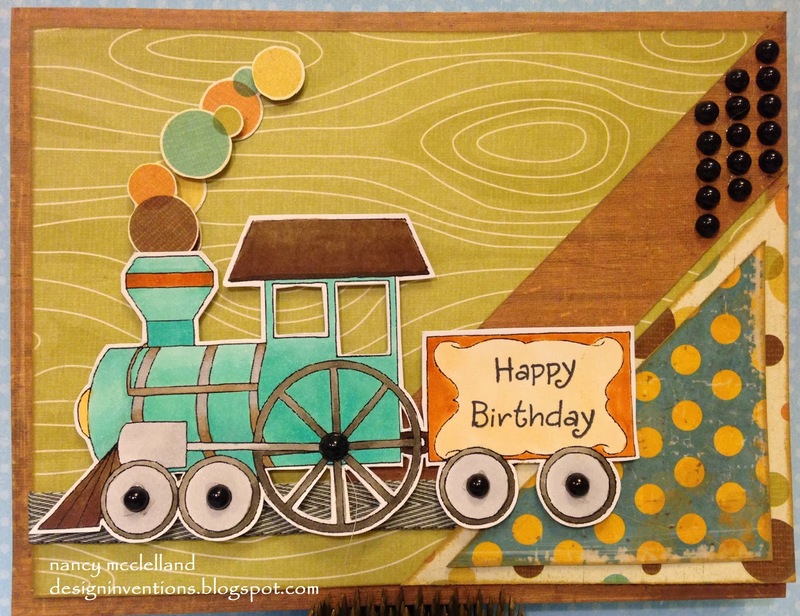 Using some of those famous Tim Holtz Distress Inks I finished up the paper. I'm sure I thought I had a good idea when I originally made the paper, but finally the perfect project came along. Picking out a few more accent papers and here ya go. I added to fun bubble stickers, some ribbon and resin flowers. 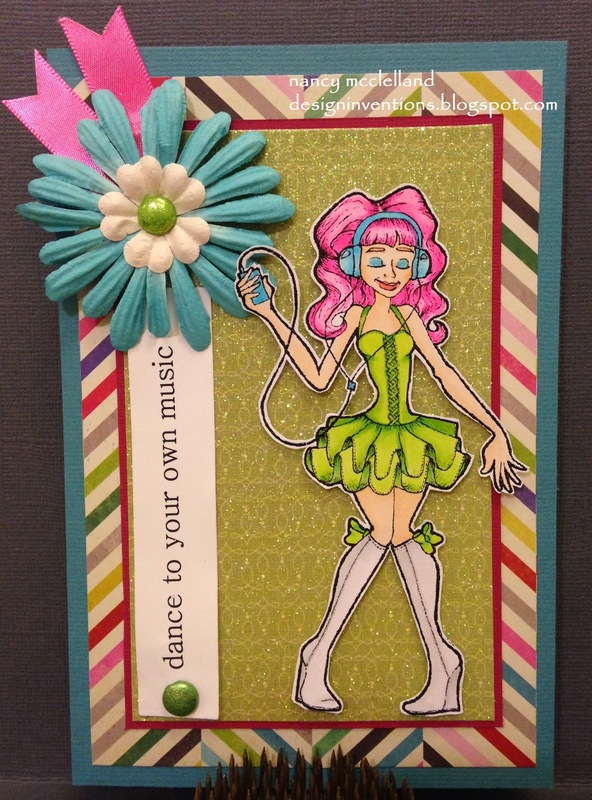 I hope you like today's creation and hop over to Hiding In My Craft Room to join the fun. These are Stampin Up colors Crushed Curry, Basic Gray, & Bermuda Bay. However, you can use any colors from any brand that match. Please hop over to HIMCR and see all the DT inspirations and maybe you will even want to join the fun this week. Thanks for stopping by Design Inventions and have a great weekend. This post is a little late but you still have time to join us this week at The Outlawz for our 'Anything Goes' challenge. It's the end of the 2013 and what a better way to finish thing off. Go visit The Outlawz and maybe you'll decide to join us this week. I want to say Happy New Year and catch up on a couple of Challenge post. This week at Hiding In My Craft Room we get to feature anything but holiday cards. Well ,I loved the holidays but I'm so ready for a change. I want to feature a card this week that originated from a tag and then I made it into card. 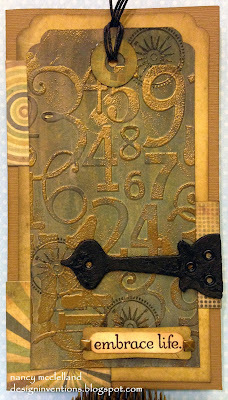 I always love to play with Tim Holtz stuff and experiment. I must admit that my craftroom looks like a tornado just went through when I finish. I started with a basic manila tag and used distress inks to add color, you can also see that I stamped a few shapes with black ink for interest. I then picked an embossing folder to add the texture. I very lightly rubbed a clear embossing ink pad over the raised numbers and sprinkled with gold embossing powder. What's fun is that not every raised area is totally embossed. The hinge is also made from a Tim Holtz grunge board and painted black. 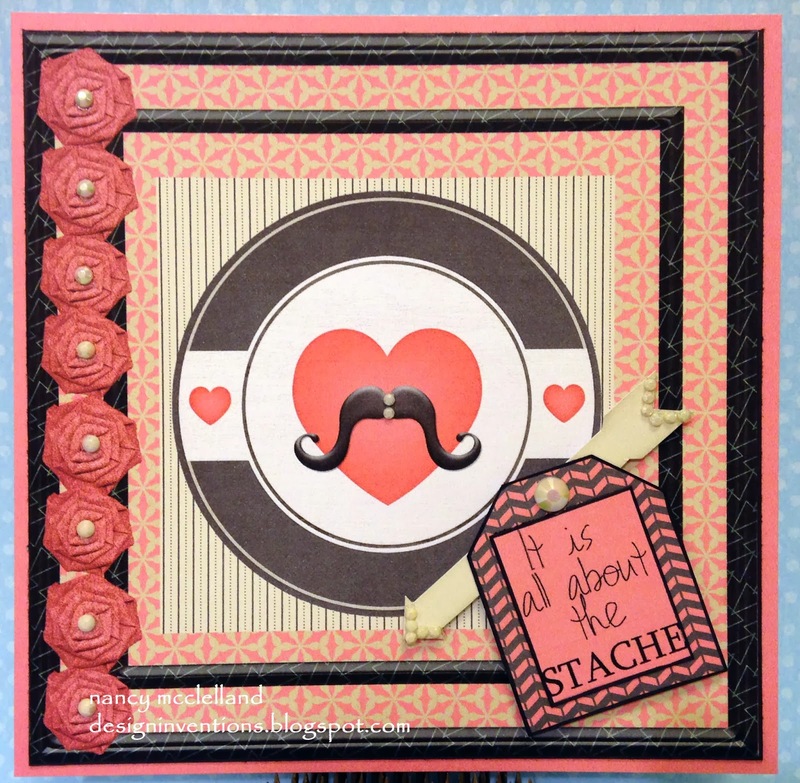 I picked a few coordinating papers and added layers to create this masculine card. Hope you enjoy and have a GREAT start to 2014.